Are you looking for the perfect weekend in Budapest? Well then this blogpost ist right for you! In February and March I got the chance to live in the wonderful city of Budapest. Before moving there I certainly never gave much thought to watch actually worth visiting there. It turns out Budapest became one of my favorite cities in the world. I love the epic buildings everywhere, the beautiful river and bridges, the old cable cars, trendy coffee places and incredibly delicious and cheap food. Since a lot of you have been asking me for recommendations I wanted to summarize everything for you and share my favorite spots in the city with you. 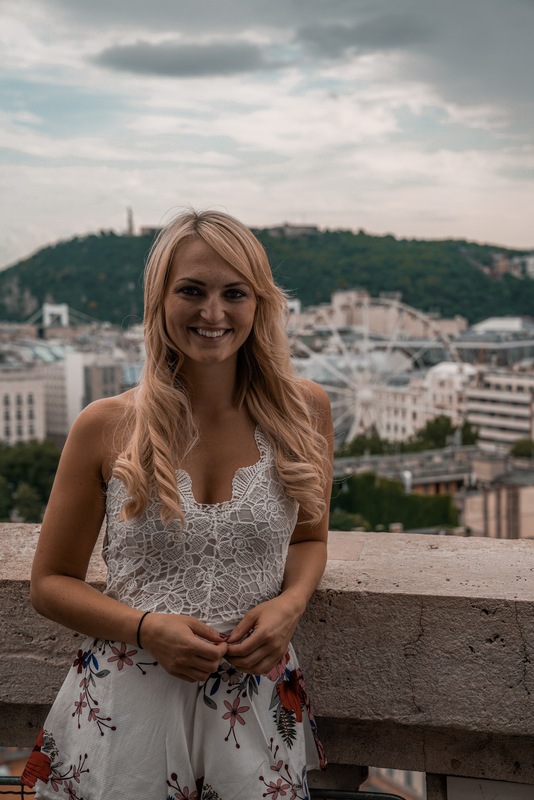 I also included the best picture spots that Budapest has to offer in my opinion. 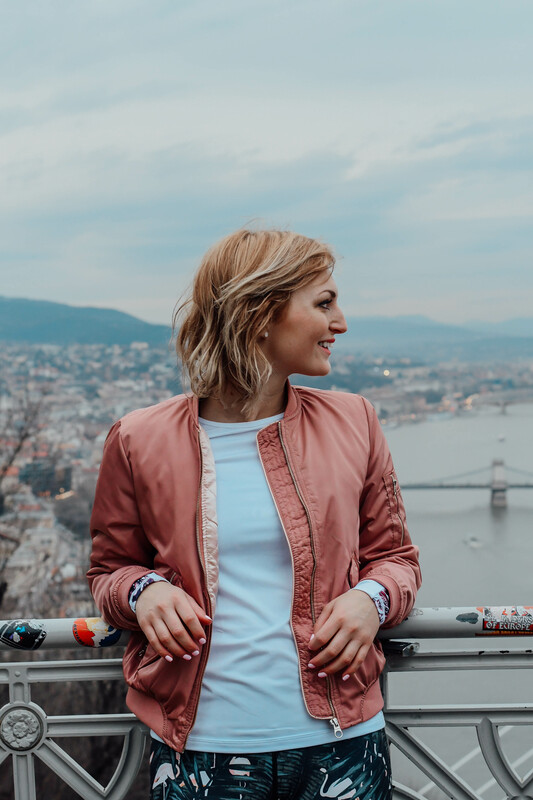 If you only have a weekend and you do everything on this list I promise you this is your key to the perfect weekend in Budapest and the best city trip you ever took! UPDATE: Scroll all the way down for my lastest summer tips! Once you arrive in Budapest you are probably hungry for some good local food. I recommend the Drum Cafe. You will find the traditional Langosh & Gulash there. I also love their Gualsh soup that comes in the cutest mug ever! You will be blown away by how cheap this place is. As this place is extremely popular make sure to go quite early, as it can get quite packed and you might have to wait a while since they don’t take any reservations. To get a first nice glance at the city go up to this gorgeous rooftop bar called 360 bar. They view you get over Budapest is breathtaking. In the wintertime they put up little, cosy igloo bubbles. I believe in the summer time you can just chill outside with some nice music as well. Treat yourself with some nice cocktail. (btw I had a hot chocolate there and it was not very good) and enjoy the view. If I had to pick one favorite restaurant it would be this one. Vintage Garden is heaven for every blogger. They have the most amazing decoration, which they switch up according to events and seasons. 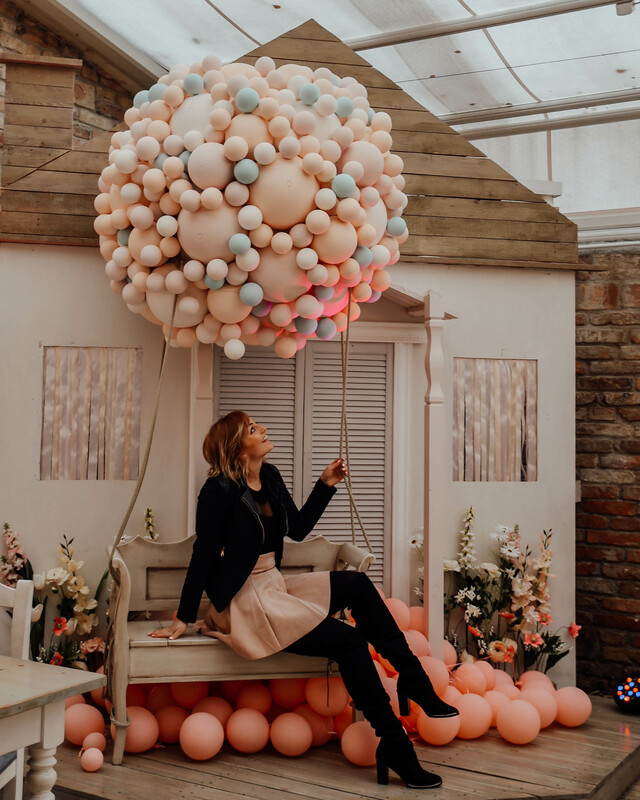 When I was there they had a whole Valentines setup and a couple of weeks later you felt like witnessing the Japanese cherry blossom festival. Going there is a real experience. Photo tip: They always set up a super cute photo spot right in the restaurant where you can take pictures. Once you leave Vintage garden make sure to stop by the little bakery called ‚The Sweet‚ right next door. They make super cute unicorn macarons and adorable little cookies. Their cakes are also to die for! You can walk from Vintage garden to Deák. This is a major intersection and transport junction in Budapest. You will also find the Budapest Eye there where you could take a ride if you want (I personally haven’t done it so I don’t know if it is worth it). Walk around the fashion street and downtown area. There is some great shopping here and I found a lot of stores that we don’t have in Austria for example. Slowly make your way back to the Deák metro station. If you feel the tiniest bit of hunger by now you need to try one of the traditional chimney cakes in the metro station. The stand will say the crazy difficult Hungarian word: kürtőskalács. They are sooooo good. They are only 300 forint, which is like one euro and come in all wonderful flavors – cinammon is the classic and best one in my opinion. Now get into the yellow metro line and go until the Széchenyi stop. This is the largest medicinal bath in Europe. Its water is supplied by two thermal springs. Alone the building is simply beautiful to look at. You can enter and have a look at the open pools through two windows. It’s nice for a little sneak peek if you are not planning to go in yourself, but still want to see what it looks like. Photo tip: When you exist walk a little to the left and you will find some beautiful stars where you can take awesome pics. After having looked at the thermal spa make your way across the park to the Vajdahunyad Castle. It was built in 1896 and I promise you will be fascinated by it. Simply walking around it makes you feel like you went back in time. Photo tip: At the back of the castle you will find a beautiful yellow bridge. If you move far back enough with the camera you will get the perfect picture of the bridge and the castle in the background. The Vajdahunyad Castle is in very close waling distance to the Hösök tér. The hero square is one of the major squares in Budapest. It is a really impressing place. You will find a very iconic statue complex featuring important Hungarian national leaders. Photo tip: It is a great picture spot, so make sure to get a nice photo of yourself there. It is usually quite crowded so if you want to get one without any people I recommend weekday mornings. After all the walking you will probably want to sit down for a nice coffee. Only a couple minutes walking from the Hero Square you will find the perfect place to rest your feet. The founder of Cafe Frei travelled around the world to bring the most exquisit coffee creations together into one place. The drink menu is incredibly broad and it is so much fun looking at all the 70 coffee options from the different continents and countries. They have everything reaching from a cherry-lychee cappuccino coming from Tokyo to a Guatemalan hazelnut latte. Even though I usually don’t like and drink coffee I had such a good time at this café and their creations are amazing! Getting back into the metro, make your way back to the city center and jump into the tram 49 in the direction of the great market hall. This is a big restored neogothic hall for traders with grocery produce. You will find a lot of traditional paprika and Palinka there to take home for friends and family. Budapest is filled with crazy cool bars and night clubs. A special recommendation is Fogas. The party area is huge and I can’t even count how many different floors they have dedicated to different music. Literally everyone will find something they like at Fogas. I would advice you to go a bit earlier as this can get a bit crowded later and you don’t want to stand in line for very long. Happy third day in Budapest. For the last day I want you to experience something very special. 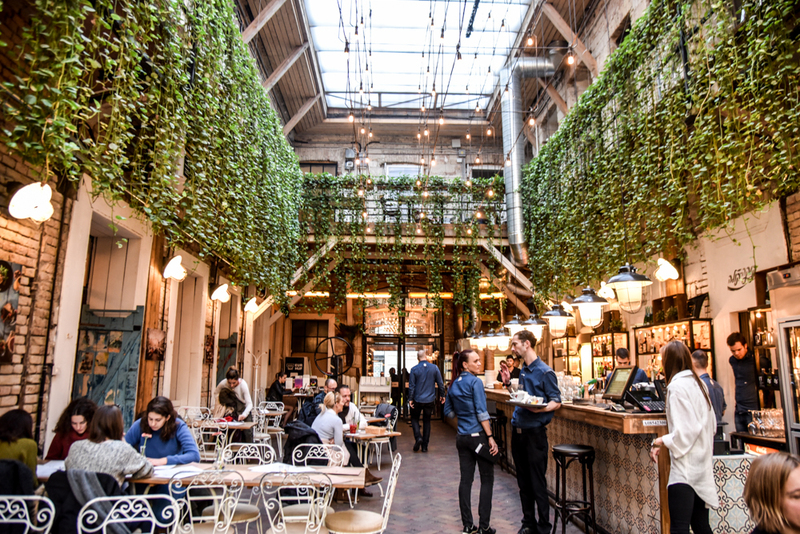 The local night club Szimpla kert will turn into a farmers market Sunday mornings. It is so worth seeing as local farmers are selling fresh bread, cheese and other produce. A fun way to walk around and soak in the vintage flair at Szimpla. Szimpla is one of the famous ruin bars. It is also a great party location if you have another night to go out in Budapest. Take the bus 105 to Széchenyi István tér and walk down to the riverside. Right there you find a beautiful look onto the Buda castle and the chain bridge. Another perfect picture spot. Once you have your perfect pic move along upwards in the direction of the parliament. After a couple of minutes you will find an important historic spot of the city. „Shoes by the Danube“ remind of the cruel past the city has to face during the second World War. If you continue walking you will see the magnificent white parliament building on your right side. This is most definitely one of the most fascinating buildings I have ever seen. I recommend you walk along the entire parliament building on the river side. Photo tip: Take a picture on one of the big stairs. There are always security guards watching – but they don’t mind people talking pictures on the stairs. Once you have a good picture circle around the parliament to also see the front of it and the beautiful entrance area. Right there you will find the metro that you should take to get to the other side of the river. Take it one stop and you will get a great view of the entire parliament from the other side. Now take one of the yellow trams for two stops in the direction of the chain bridge. At the bottom of the hill you will find a funicular that takes you right to the top of the castle. I recommend you walking though. It is maybe a 10 minutes walk and you can see more of the city and also save that money. Now you are in the Buda part, which is the old part of the town. You can easily walk from the Buda castle to the Matthias church and the Fisherman Bastion. There you will find a beautiful view as well. Once you have seen everything you can make your way downstairs again and walk over the chain bridge to the Pest side of town where you can continue with a little relax break. This was one of my favorite vegan places in Budapest. Perfect for a nice afternoon tea break. Actually you should turn it into a hot chocolate break. They make the best flavored hot chocolate themselves right there in the shop. It is their secret recipe and really worth trying. Also, they have a huge selection of different, amazing vegan cakes. Once you are all charged up let’s hit the streets of Budapest again. This is a wonderful afternoon activity, especially on a sunny day. They tram will drop you right at the bottom of the hill. It is only a short hike up the little mountain. On the way you will also find the cave church. Surely worth having a quick peek insight it. 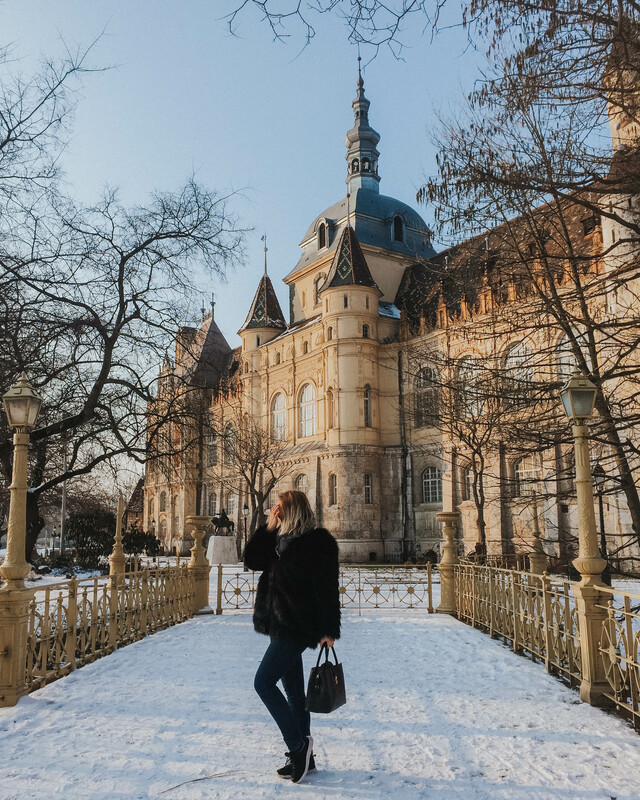 All the way on top of the Gellert hill you will find the Citadella, which was built in 1851 under Habsburg rule after the Hungarian Uprising. It is a really cool statue and fascinating to look at. Photo tip: There is a breathtaking view over the two city parts Buda and Pest. Your second dinner choice should lead you to this super stylish middle Eastern restaurant. The interior design is breathtaking. Mazel Tov is for its amazing atmosphere comparably quite cheap and the food is delicious. They will serve you amazing falafel, sweet potato fries and Shakshuka. By now you should have reached Sunday night and probably tired from all the awesome things you have done and seen today! Time to head back to your hotel and relax! 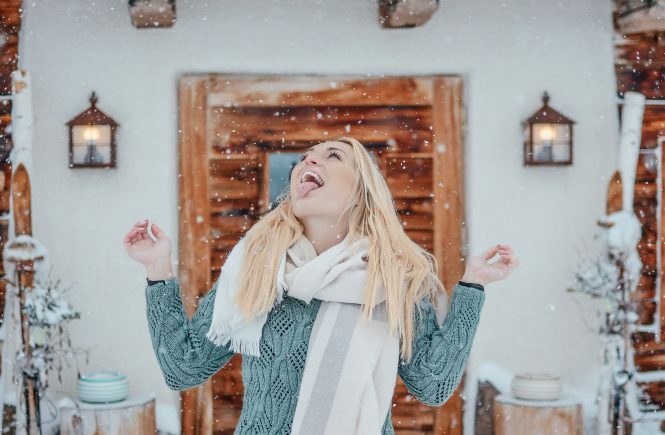 After being back for the weekend I have more amazing insider tips to give you especially for the summer months that you should not miss out on! Sugar Free Ice Cream: A healthy option for ice cream offers the „Hisztéria Cremeria„. It is vegan and sugar-free, which makes it the perfect light afternoon snack. Free Boat Ride on the Danube: During weekdays you can use your public transport ticket to take a boat all the way up to Margaret Island. On weekends you pay 750 forints (about 2 euros). It stops by the chain bridge and right in front of the parliament. 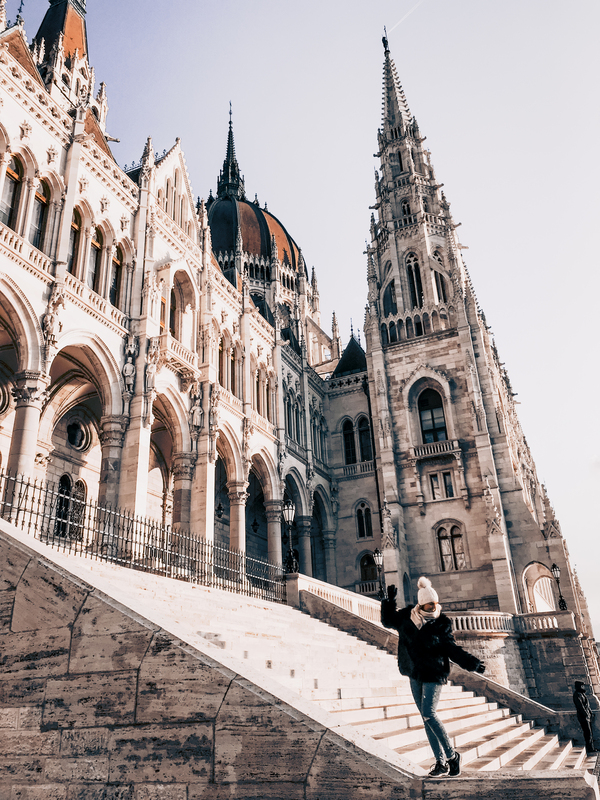 Beautiful view: Visiting the basilica of Budapest should be definitely on your list of things to do in the city. But did you know that you could go up to the final floor for just 2 euros and enjoy an amazing view? No? Well, I didn’t know either, but it is such an awesome experience. You get a 360 degree view around the basilica down on beautiful Budapest! 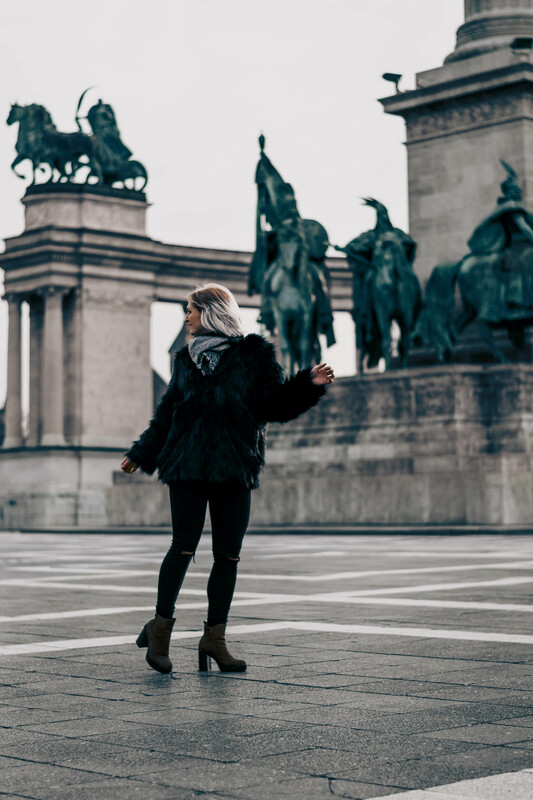 I really hope you enjoyed this blogpost and if you do end up going to Budapest please leave me a comment and let me know how you liked some of the things you have seen there. I hope you will have the perfect weekend in Budapest! Best time to visit Costa Rica and Panama – avoid the rain season! Tulum Restaurant Guide – food & Instagram spots!